The Elephant – Welcome to InflatedStory.com! This may shock you, but Elephants are BIG. That just makes them more fun to sculpt! 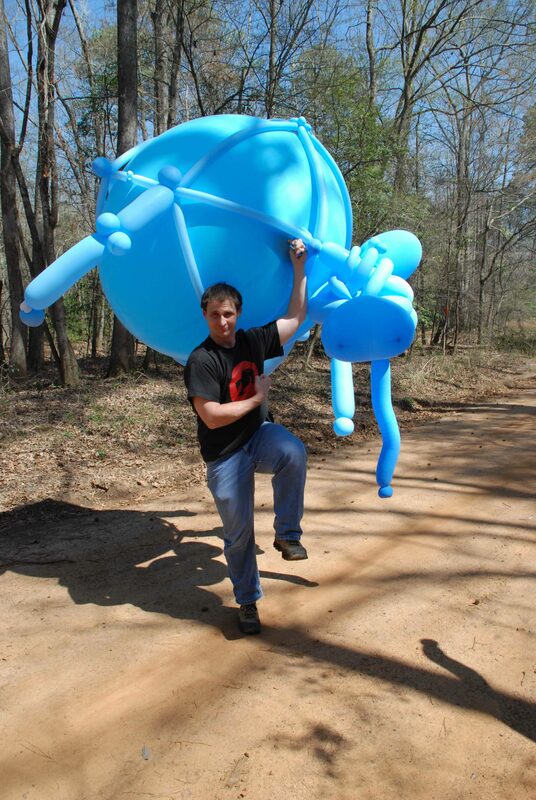 Naturally, if I wanted to make a giant animal I needed a giant balloon. The inspiration for my Elephant came from giant balloons I climb inside during programs. They can in flate up to six feet with a leaf blower. Most of the elephant parts I made at home. There was a complete baby elephant, a large elephant head, and the complete giant elephant. 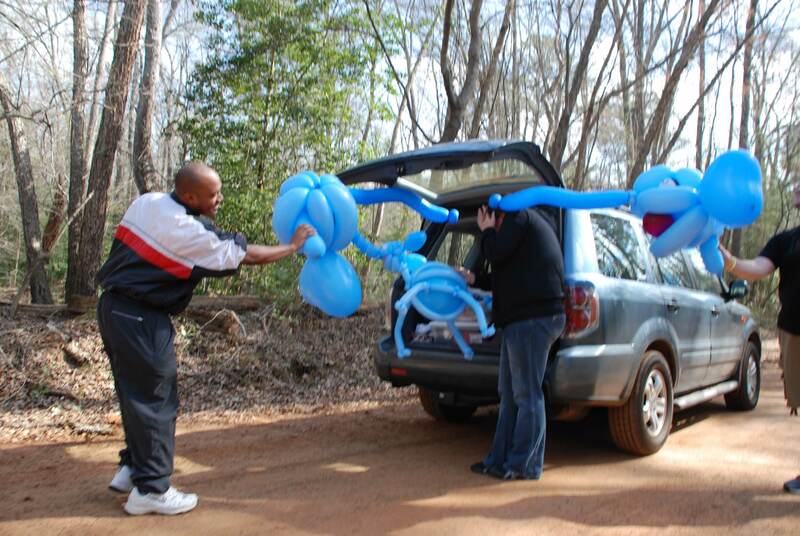 The biggest logistical challenge was that a six-foot balloon won’t fit in my SUV. That meant the final steps in my sculpture had to happen on location. Fortunately, I didn’t have to sculpt alone. Since the Elephant was large I found a secluded spot near my then-home in Atlanta, TX for photographs, and I invited three good friends to join me for the adventure. The creek we found was peaceful and perfect for our Elephant watering hole. 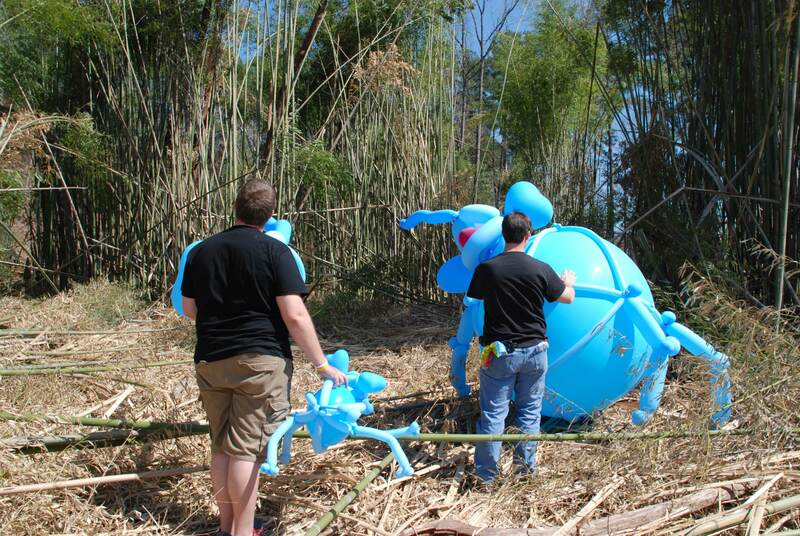 I will never forget carrying the giant balloon elephant down the road and through the woods searching for the best possible shot. 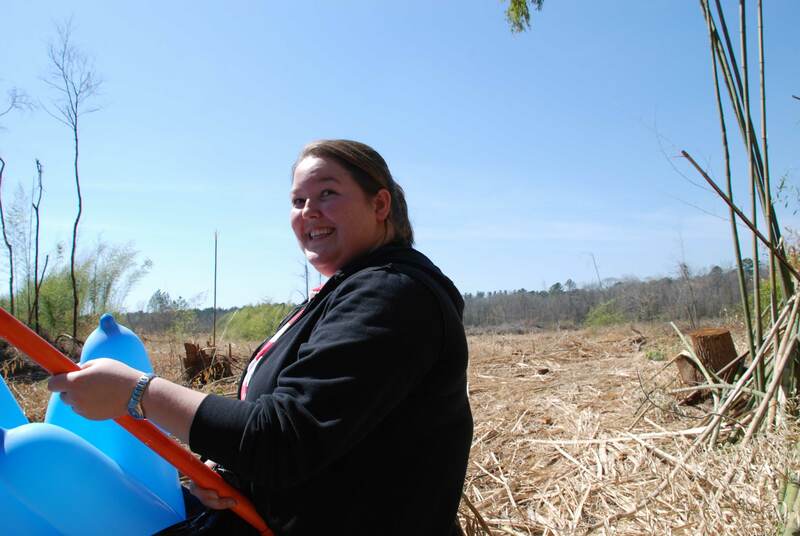 When th e day was over, I temporarily deflated the giant elephant center so I could deliver the elephant to one of my students who had oral surgery the day before. 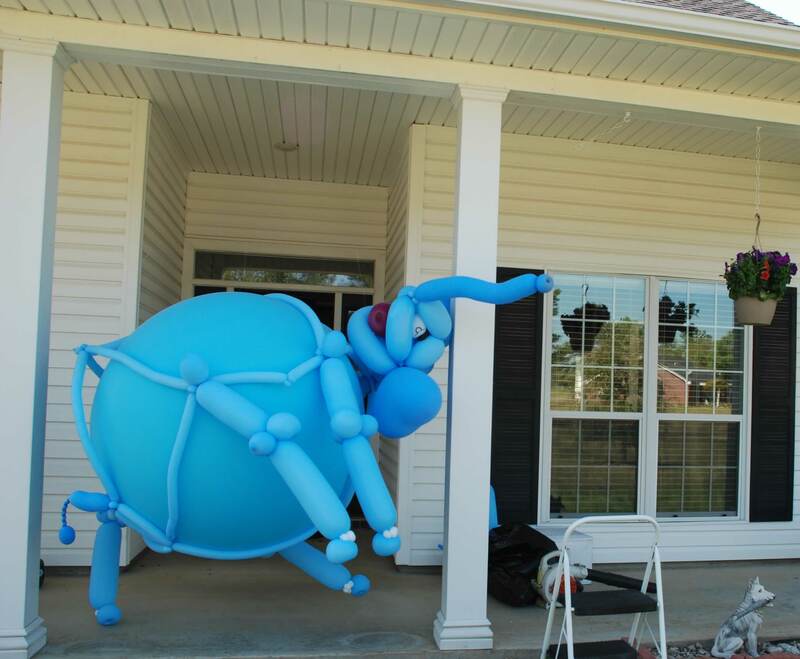 When I asked if I could do anything for her, she made the mistake of jokingly telling me she wanted a giant balloon elephant. Giant balloon elephant? No problem. Dan is a youth minister living in Pensacola, FL. In his spare time he sculpts balloons, plays tennis, plays ultimate frisbee, works on his Doctor of Ministry, and does whatever else he can find to do. While working on graduate degrees he's become an enthusiastic Baylor Football fan. He's been dreaming up The Inflated Story of Noah for over a decade. © 2019 · InflatedStory.com. Stories and photographs are property of Dan Bellamy.